Do you feel envy when you get your friends’ holiday cards in the mail containing high-quality professional images of themselves and their pets, in gorgeous designs? Have you been wishing you had the budget to get a full session and product collection with me but it has been out of your reach financially? Here is your chance to get your needs met at a fraction of the cost of a full session + collection with me! Book a holiday card pet photography mini session with me in Seattle. -45 minute session at the Washington Park Arboretum in Seattle. We’ll take advantage of the *gorgeous* fall leaves and colors! (Other locations are not available for this session). -Includes 50 pearl paper custom-designed 5×7 folded greeting cards (see fun designs below!) + 6 fully retouched, frame-worthy archival prints (any combination of 5×7 or 8×10 prints from any images). Additional prints and other products are available for purchase at a discount. -Produces 25 images to select greeting cards and prints/products from in a shareable online gallery. Your friends and family can comment and give their thumbs-up to their favorites! Examples of Cowbelly photos: http://cowbelly.com/galleries/dogs/dogs-on-location/, http://cowbelly.com/galleries/pets-people/. -Good for up to 2 pets and 2 people. (Additional pets and people can be added for an additional fee). Pets and people must be in the same immediate family. *Sessions must be booked in advance and full payment is due at the time of booking to secure your session time-slot. Please email me at info@cowbelly.com to book! All major credit cards are accepted, as is PayPal. 9.5% Washington State sales tax will be applied to all orders. All clients are required to sign a model and property release prior to the session. Fun holiday props will be available (holiday-themed scarves, reindeer antlers and bow-ties for the dogs! ), but you are encouraged to bring your own as well and I can walk you through what to wear and how to best prep your dog(s). Images will be available to view online within 7 days of the session, at which time you will have 7 days to select your images for prints and cards. 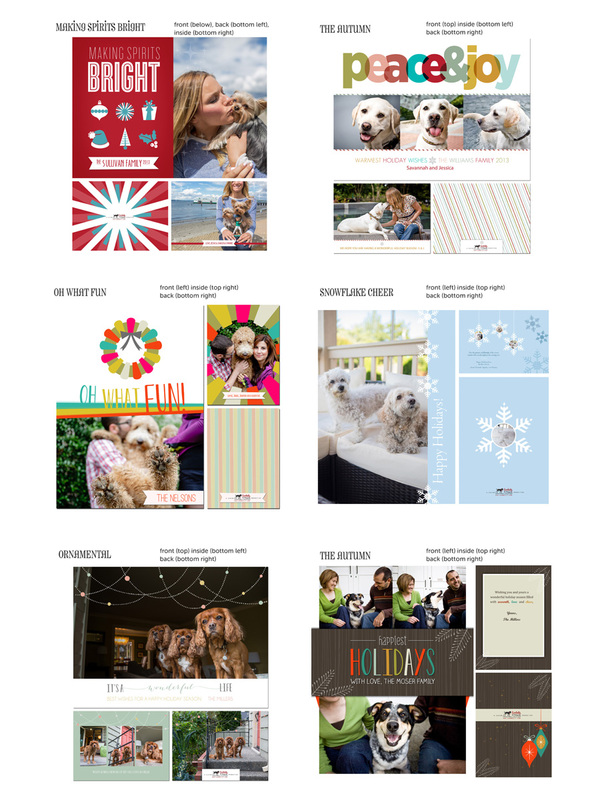 Holiday card designs must be selected prior to the session so I know what layout I’m shooting for. Products will be shipped within 14 days following selection. Total cancellations on Cowbelly’s part due to weather will receive a full refund; no-shows will forfeit 50% of their session fee. Drop me a line at info@cowbelly.com asap to book if you’d like to get on the schedule! Here is a small sampling of some of the many fun holiday card designs I have available. Designs are totally customized with your fully retouched photos, and can include special text as well. Please contact me at info@cowbelly.com to book and see the full selection of holiday card designs. 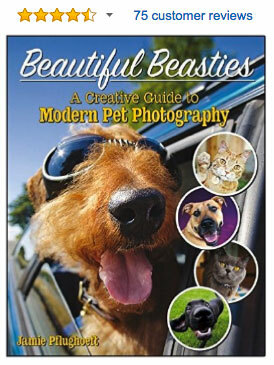 Looking super forward to working with you and your dog(s) to get some great shots of all of you this holiday season!